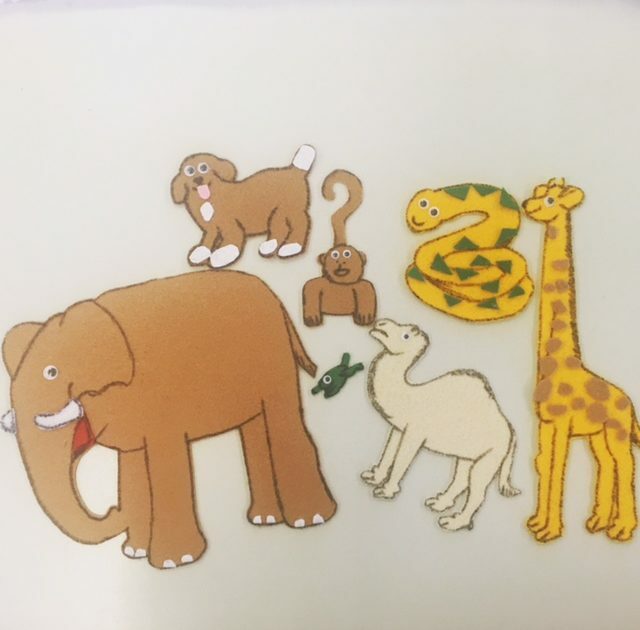 A few Sundays ago, I spent the afternoon with a colleague making felt animals to match the story ‘Dear Zoo’. All of this was done on a steep learning curve – I am deeply uncrafty with a knowledge of children’s literature bound to feminist deconstructions of fairytales and ‘The Very Hungry Caterpillar’. But my friend needed help – she needed felt characters for two books by the next day for class and couldn’t do both on her own. So for about four hours we sat chatting away like an old-fashioned sewing circle while our fingers became covered in glue and black marker. Afterwards, we rewarded ourselves with wine and dinner by the ocean. I didn’t have to help my friend. Nothing I did that afternoon contributed in any way to my track record or CV. No one cared that I was helping apart from my friend. There were other things I could have been working on – articles I definitely should have been working on – but my deadlines weren’t as looming. A few hours that afternoon weren’t going to be the make-or-break for anything at all. I helped because this is what friends should do; this is what colleagues should do. Space away from my work did me good and made my friend’s week that much easier. This is the Circle of Niceness and it can be used to build academic goodness. It is a conversation that appears again and again in academic experiences – AAs who make others feel bad as a way to boost their own sense of power, or whatever their reason for the nastiness. In her post, Inger worries that people who are nice are not taken as seriously as the AAs, that they are not seen to be as clever, so being an AA might positively impact on their career. We need to talk about this more, because an environment that supports AAs is not one that truly supports collaboration and safe spaces: all the things that piirus.ac.uk strives to do. While I’ve certainly met and worked with AAs, those in the Circles of Niceness I’ve encountered have mattered far more in the end. AAs don’t seem to realise they’ll be eventually forgotten while your Circle of Niceness grows and deepens. People will always do better work – and want to do better work – in supportive conditions than anything done in misery. Sometimes Circles of Niceness are easily made – you find a group of colleagues who become friends and cheerleaders. It’s easy to find the goodness in them because it’s obviously visible in your interactions with them. Sometimes though, if you work in a more toxic environment, the niceness is much harder to find. In these cases, niceness might seem as rare (or as possible) as unicorns or fairies. In these cases, you might need to work on niceness because otherwise the toxicity can harm you. What can build a Circle of Niceness in a barren desert of toxicity? – You! I find that it helps to practice small goodnesses – acts so small you might not realise you already do them but they make the space around you all the nicer. In my experience being nice may not always mean AAs are any less nasty to you: you’re just more emotionally protected from their toxin. You can shake it off more easily than before. Saying hello and asking people how they are when you see them. Saying thank you when someone does something for you. Crafting emails so as to sound friendly rather than curt. Making sure your feedback and reviews are positive and constructive rather than dismissive, even when the draft you’re reading is far less than perfect. At least they wrote something, which is always the first hurdle! Listening to other people’s ideas when they need to speak something through for clarity. Forgiving someone’s bad day, when it really is just a bad day blip. Commiserating a person’s rejections (because we have all been there) and celebrating their acceptances with equal grace. Putting aside your work, when it’s able to be put aside, when someone else is in trouble. This doesn’t mean that you become emotionally exhausted or a doormat or less rigorous than before. It means that everything you do is based in collegiality and creating academic goodness. We’ve all had nasty reviews before and they do nothing to make us feel like we can make that paper any better. Constructive reviews might point out exactly the same weaknesses but doesn’t make fixing them feel impossible. Be the person who makes others feel that they can do better. It is harder to be one of the AAs – there is so much work in constantly being negative and grinding people down. Embrace the Circle of Niceness, and practice your small goodnesses! It’s such an easier space to live in, and far more rewarding. And should anyone need any tips on making felt elephants or monkeys, just let me know.